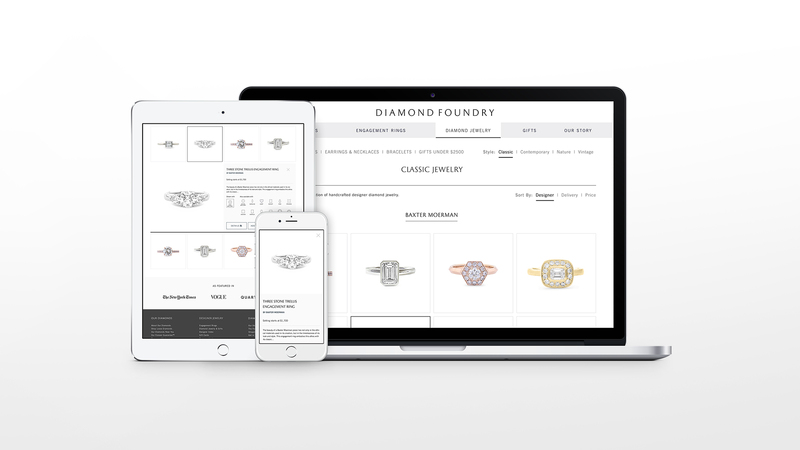 Diamond Foundry is innovating the production of diamonds above ground to responsibly infuse the priceless stones with greater value. 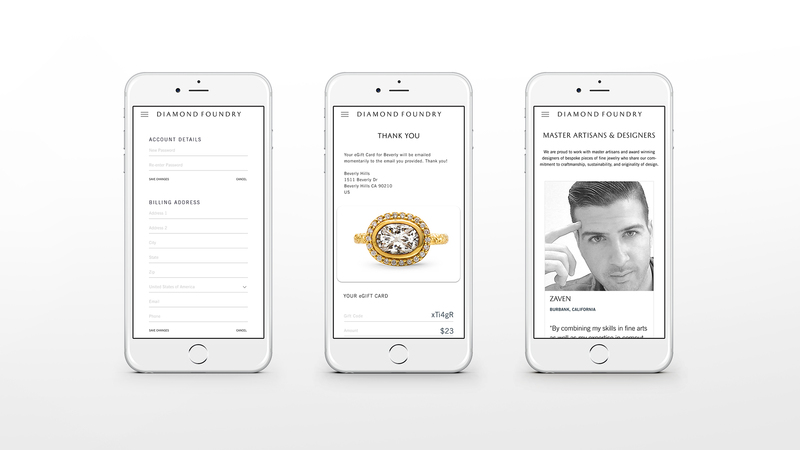 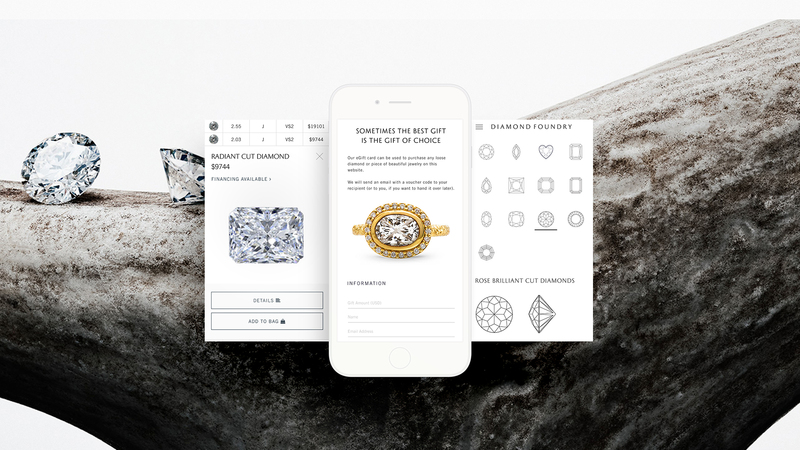 Spil© was charged with building a cohesive user interface that engages and informs customers of Diamond Foundry. 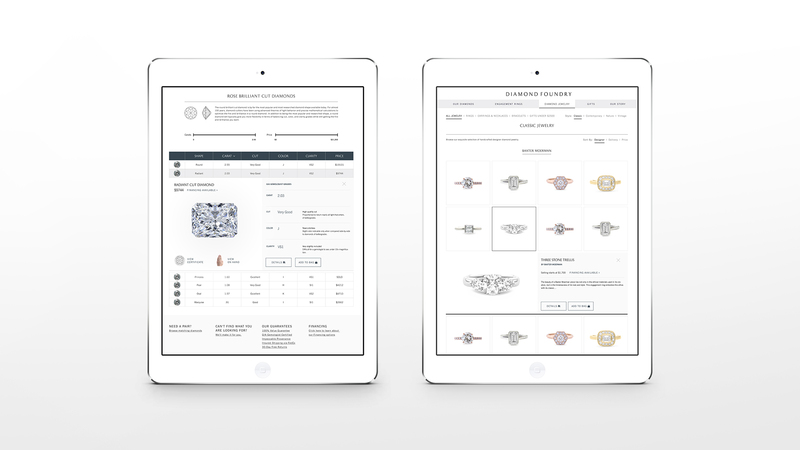 We created a structured design grid that would let the diamonds shine.